Summer brings warmth, fun and growth everywhere. 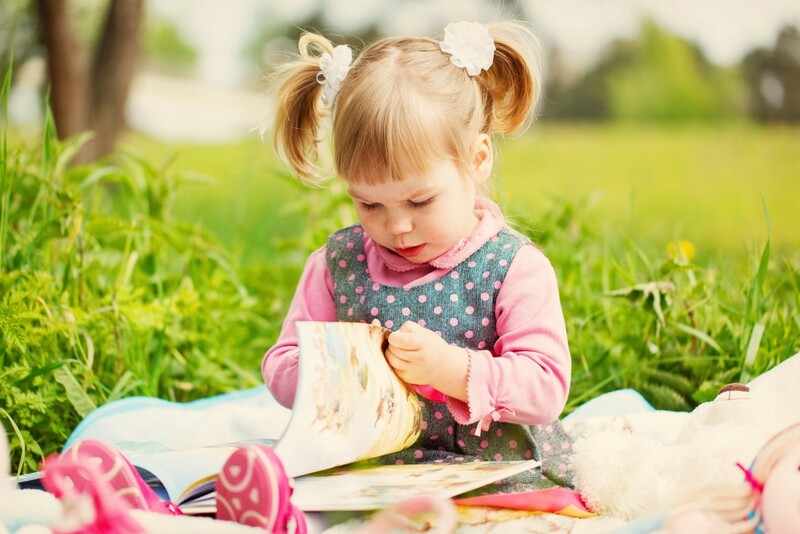 Here are some great picture books on the subject that are good for ages three through seven unless otherwise designated. Little Honey Bee, by Jane Après, is a blooming board book filled with lift-the-flap petals, insects and leaves for toddlers to discover about nature. Little hands count what the text has specified on each page, by lifting one petal or leaf. Hiding behind are animals of the same amount. The descriptive text gives a conceptualized appearance of the beauty of this world. “Six crimson hollyhocks trembling in the breeze.” Lift a butterfly or a petal and there you will find butterflies. Bees are found on every page and you just may desire to count them too. Explorers of the Wild, by Cale Atkinson, is about the love of nature, friendship and adventure. A boy and a bear go on an exploration separately enjoying everything they encounter along the way until they meet up. Both are surprised, and anxious, when they see each other. But it doesn’t take long to find they both are exploring the mountains and soon they become friends and continue together through their adventure. The text until they meet refers to “I”, but after they meet, it becomes “we” throughout the rest of the book. The illustrations are vibrant and completely fill the pages. Too Many Tomatoes, by Eric Ode, and brightly illustrated by Kent Culotta, has grandfather’s garden filled with “peas. / It’s buzzing with blossoms / and bumbly bees.” But what he has most of are too many tomatoes. What he does with all these plump vegetables will inspire more of us to share our abundant gardens as well. The illustrations fill each page with color and the text rhymes making this a terrific read-out-loud. Gretchen Over the Beach, by R. W. Alley, is one of a four-book set having to do with the four seasons. This book celebrates summer and imagination. Gretchen and her family are going to the beach where she is excited to build sandcastles. But her siblings leave her behind as they head to the water. As she attempts to catch up, her hat flies off in the breeze and her story becomes rich with imagination. She grabs hold of the hat’s streamer and it pulls her high above the waves. Each book is small in size but rich in story and color. Alley used ink, pencils, watercolors, gouache and acrylics. You Must Be This Tall, by Steven Weinberg, is hilarious! As children grow, they face problems like the two protagonists in this story. Frank and Harold are best friends. They are also snakes and desire to go on the roller coaster together. But Harold is too short and the pig who takes the tickets won’t allow Harold to ride. How both friends solve this dilemma will bring a surprise and a giggle. Flying Frogs and Walking Fish, by husband and wife: Steve Jenkins and Robin Page, extols the unique and amazing movements of particular animals. This fascinating non-fiction explores how animals propel themselves from one place to another and is rich with information. There are insights into familiar animals such as millipedes and lizards. But there are also investigations with unusual animals such as sugar gliders and mudskippers. Jenkins has won the coveted Caldecott Award and continues with his stunning illustration talents. There is much more information about each animal found at the back of the book. Don’t Splash the Sasquatch!, by Kent Redeker, and illustrated with computer graphics by Bob Staake, is a fun read-out-loud as Senior Sasquatch tells the life guard not to allow those jumping in the pool to get him wet. The text is minimal and repeats as different animals jump in and splash on him. The repeated phrase is the book title. This will likely become a summer favorite. Fabulous Frogs, by Martin Jenkins, and vibrantly illustrated in mixed media by Tim Hopgood, is quite literally – fabulous! There is much to learn in this simple and oversized text both visually and what’s written. But what is most mesmerizing are the colors of greens, yellows, and brown hues. It’s also astonishing to see the huge variety of frogs. Kids will be croaking for more of this book to be read again and again. The Summer Nick Taught His Cats To Read, by Curtis Manley, and ineffably illustrated with ink, Flashe paint and acrylic on cold press watercolor paper by Kate Berube, is a delightful story about how Nick cleverly entices his cats to read. He does everything with his two beloved pets but when he settles down to read they are bored. That’s when he gets the idea to teach them to read. Verne learns quickly and especially likes books about fish. But Stevenson isn’t interested. Nick discovers how to engage Stevenson and before long all three are reading and acting out their books. This is a terrific book celebrating reading! Stories from Bug Garden, by Lisa Moser, and beautifully illustrated with ink, watercolor and pencil by Gwen Millward, is a book filled with free verse as you begin with the first poem: The Garden. This dwelling of earth and plants forgotten is encased with weeds. But upon further investigation, you find others dwelling in this forgotten garden and you will soon be introduced to all. Each poem is about these tiny inhabitants such as Ladybug, Dragonfly and Earthworm. I believe poetry is one of the very best ways to impress descriptive language to the young. And this book is so gorgeous in color and text, your youngster will benefit beyond words.